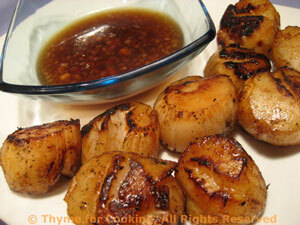 Grilled Scallops, Lemon Ginger Sauce, Thyme for Cooking easy recipes. I used a large 'ball' of regular mozzarella for this week-end's starters, rather than the smaller (at least, for me) di Bufala; half tonight and half for Saturday. The traditional Caprese Salad is just garden ripened tomatoes with Mozzarella de Bufala. We added an avocado for a salad with the colors of the Italian flag... Fresh mozzarella comes in a round, ball shape, packed in liquid, usually in a bag. Save any leftover cheese in the liquid, in a small bowl. Select 2 lovely, large dinner plates. Cut the avocado, remove pit and cut into slices. 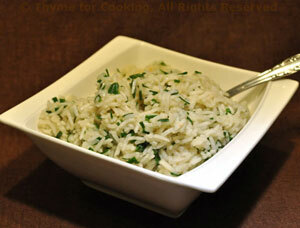 Tear large basil leaves in half, leave small ones whole. 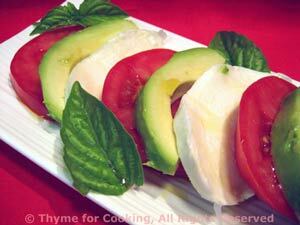 Arrange tomato, avocado and mozzarella slices artfully on the plates. 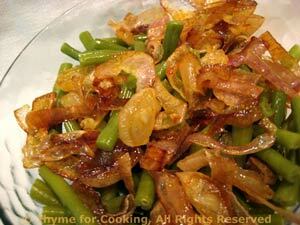 Serve, with oil and vinegar (optional) on the side to be added by each person to taste. Slice cheese, reserving half and liquid for Sat.